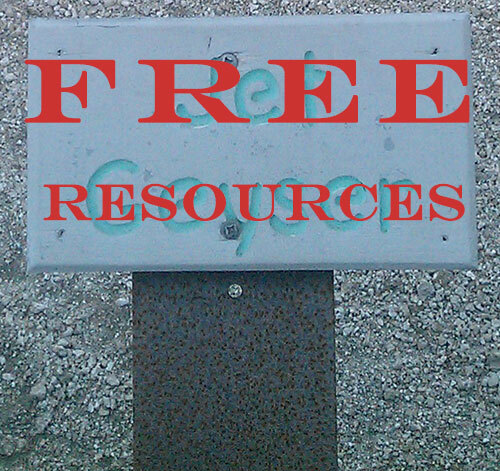 I’m always looking for new free resources for my business and clients to make work a bit easier and more efficient. I’ve also found that sharing free resources with others on all my social media networks encourages more interaction and engagement. Here are just a few resources I wanted to share with you. Some do have paid options as well. Evernote: Evernote apps and products make modern life manageable, by letting you easily collect and find everything that matters. HootSuite: The leading social media dashboard to manage and measure your social networks. Free Conference Call: Free conference calls are simple and easy to use, requiring only an e-mail address to receive an instant account. Dropbox: Put your stuff in Dropbox and get to it from your computers, phones, or tablets. Edit docs, automatically add photos, and show off videos from anywhere. MailChimp: More than 5 million people use MailChimp to design and send email marketing campaigns. PDF995: Its easy-to-use interface helps you to create PDF files by simply selecting the “print” command from any application, creating documents which can be viewed on any computer with a PDF viewer. Please share any helpful resources you know of in the comments section.